WN(Q) series dredging pump is marine Sand Dredge Pump for dredging of river and sea. This pump is simple and reliable in structure, easy to disassemble and maintain, and adopts High Chrome Cast Iron Parts. It has a long trouble-free life. This series of Dredge Slurry Pumps are single-stage, single-suction, cantilever, horizontal centrifugal pumps. 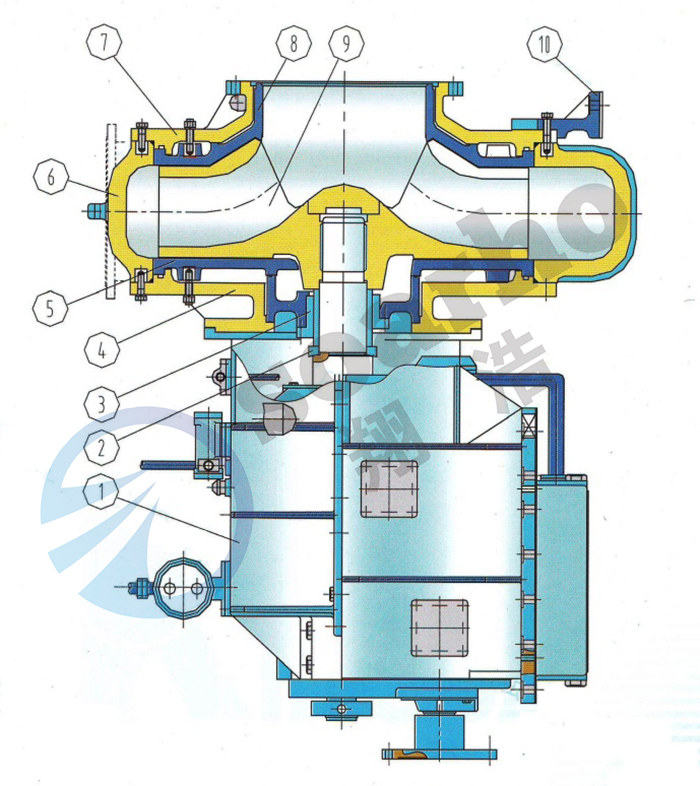 The flow passage of the impeller is wide through the capacity, so it is difficult to block for pumping sand gravel or high plastic clay. It has super strong excavation and suction ability. WN(Q) series dredging pump is suitable for dredging and filling operations of cutter-suction dredger and trailing suction dredger. It is also used for river sand mining and mining vessels. 1.The structure is simple and reliable. 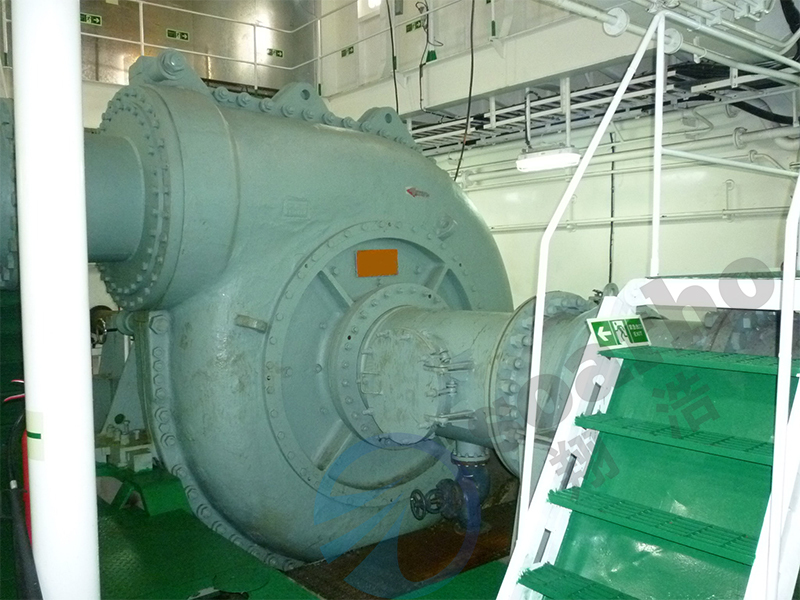 Type 200WN-500WN dredging pump adopts single pump casing structure. 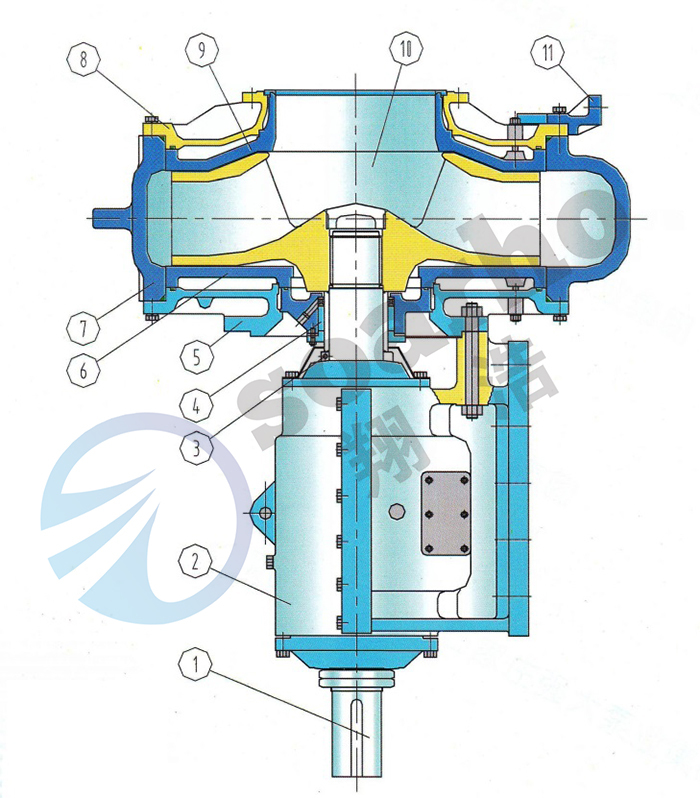 According to the connecting way of gear box can provide two kinds of typical structures, one is connected with own bearing bracket, the other is combined with reduction gear box. The lubrication of pump with bearing bracket is grease lubrication or thin oil lubrication. Type 600WN-1200WN inboard pump adopts double pump casing structure, with its own bracket. Lubrication way is mandatory thin oil lubrication. The safety and reliability of the double pump casing design keeps the volute liner can be used to close to wear out, and when the liner was broken, no water will enter the pump room. Series Submersible Slurry Dredging Pumps adopt single pump casing structure, in order to reduce the pump weight, easy to lift and move. 2. Easy to assemble and disassemble and easy to maintain. The front dismantling structure is adopted, and special disassembly tools are equipped to facilitate disassembly and assembly. 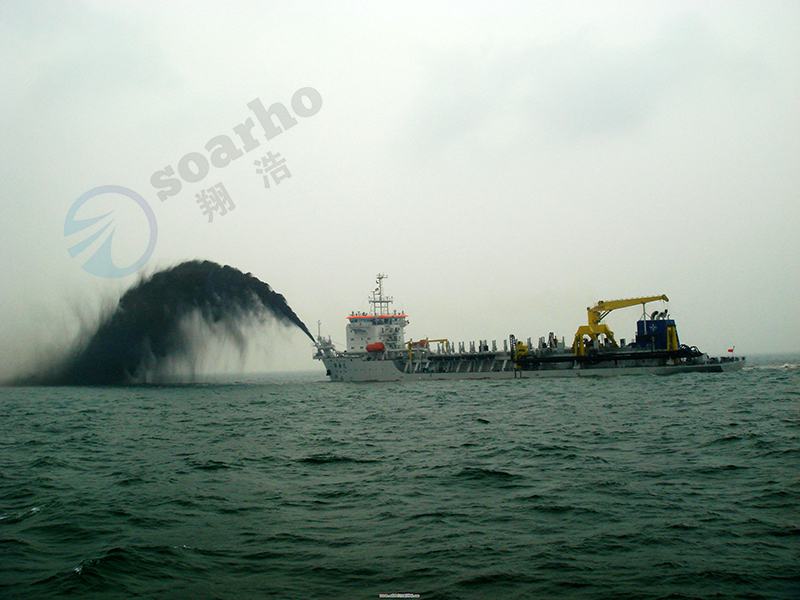 3.The performance of dredging is excellent. The flow and head curve of the pump are steep, the suction ability is strong, the ability of passing the pump is good, the change of the distance is more applicable, and the depth of digging and the higher transportation concentration can be reached. 4.Good wear resistance and long life of flow Wear Parts. The impeller, volute liner, throat bushing and rear plate liner (wearable liner) are made of strong wear resistant alloy cast iron whose hardness is not less than 58HRC.It has not only impact on resistance but also high anti-abrasion performance. 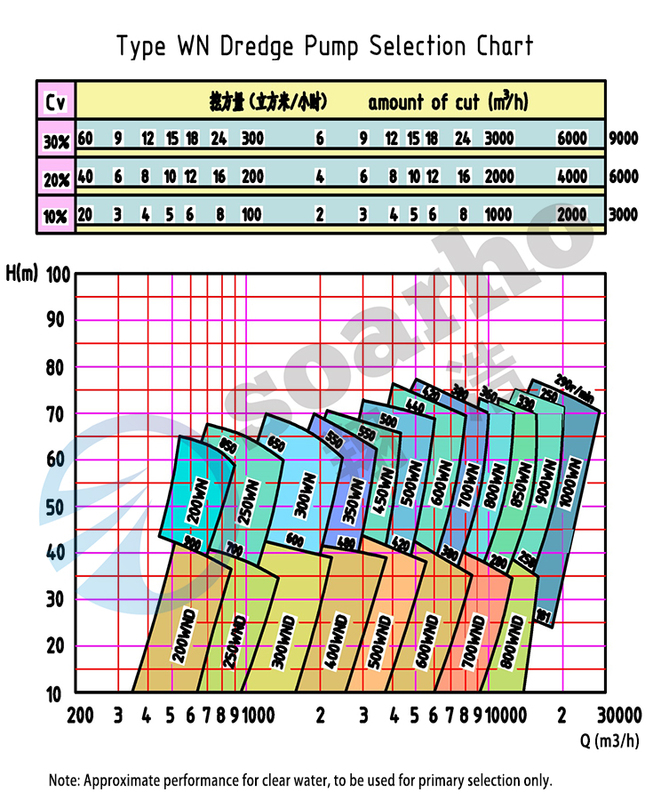 5.Using advanced hydraulic model, the pump has low hydraulic loss, high efficiency and low energy consumption. The service life of each part is full considered in the process of product design. The same replacement cycle reduce the maintenance and replacement costs. 6.The shaft seal is reliable and no leakage. 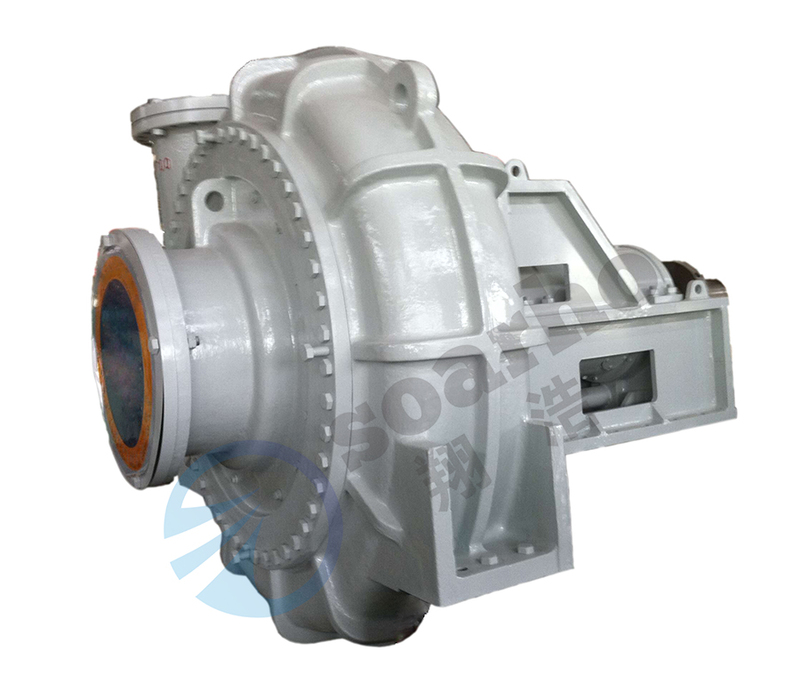 Type 200WN-500WN dredging pump adopts mechanical seals or packing seals or combination of mechanical and packing seals. 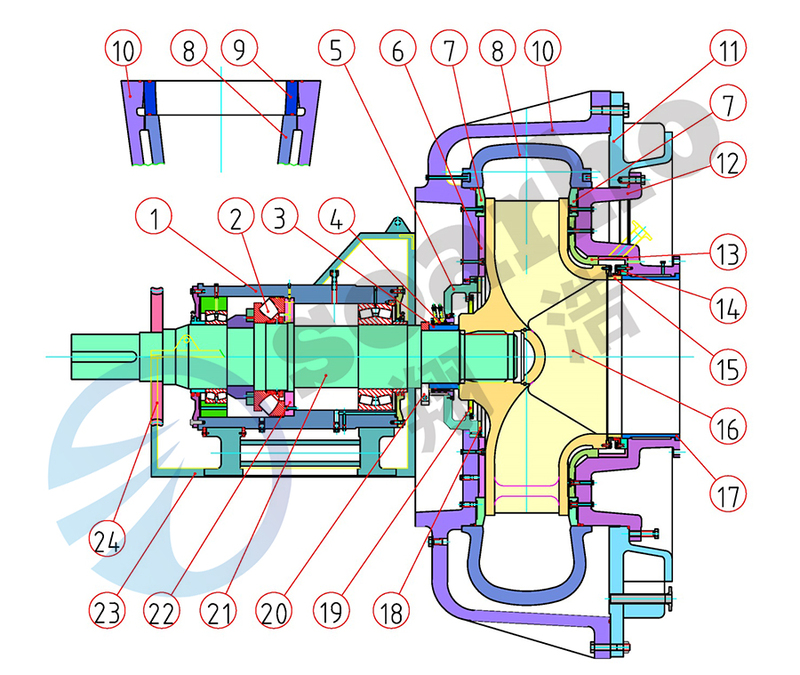 For the type 600WN-1200WN dredging pump, the shaft seals adopts screw shaft sleeve with L-shaped rubber seal device, which consists of three L-shaped seal rings and one threaded shaft sleeve. 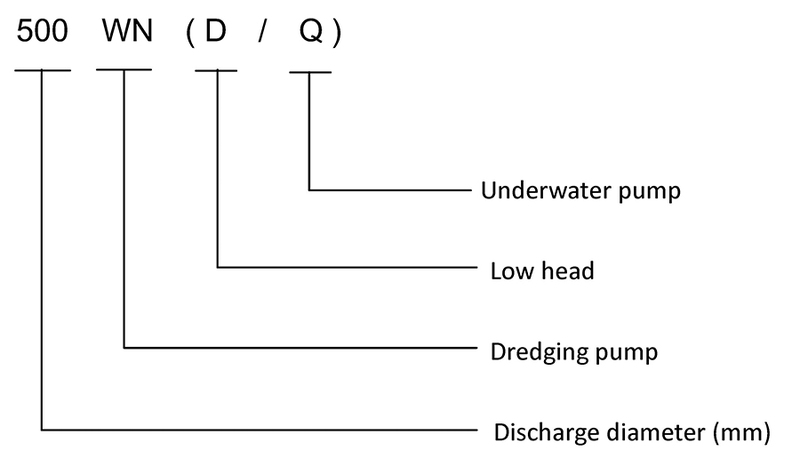 Looking for ideal Marine Dredging Pumps Manufacturer & supplier ? We have a wide selection at great prices to help you get creative. All the Dredging Operations Pumps are quality guaranteed. We are China Origin Factory of Filling Operations Pumps. If you have any question, please feel free to contact us.